After leaving Ivančice, Mucha stayed in close touch with his family and friends and continued to produce a number of illustrations for local magazines. 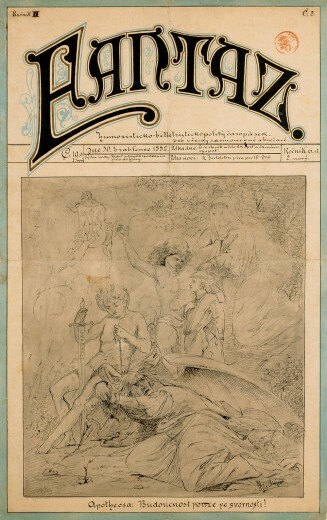 Fantaz was an illustrated satirical magazine launched by Filip Kubr (1858-1913), Mucha’s close friend and later brother-in-law. In their youth in Ivančice, Mucha and Kubr were involved in patriotic activities and were part of a highly successful amateur theatre company.